PUBGs control scheme changes depending on what you're doing so here's a picture of all the controls for this profile. im noticing an issue when trying to loot form the inventory menu. i cant pick up ammo or attatchments. not sure if its just the game but something ive noticed. You're able to pick up attachments from the inventory by going to vicinity and pressing the "pick up button" which is F or to equip attachment, press 2. Right click to ADS. Hold for Targeting Mode. Is anyone else having problems with input lag and ur redical not stoping when u stop the mouse? Mine is so bad i cant play with my mouse and keyboard. What kind of mouse are you using and what is the max DPI? I have input lag as well in the game, it's really annoying. I hope they fix it soon. @marco i have a logitech g502, idk its max but i set it to what i have it set up as on my pc which is 600 dpi. 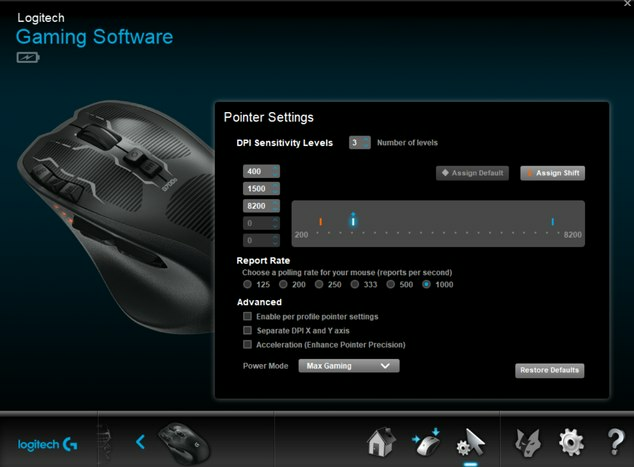 You should be able to get the max DPI of your G502 by going to the Logitech Gaming Software. You are able to change the DPI and RPS using this software. Make sure you set it to your max which would be 8200, let me know if you feel a difference once the DPI is bumped up. Having a very weird mouse experience, input lag, and if i move my mouse slightly it moves a lot more than if i moved my mouse normally. Input lag does exist, it happens with the controller too. Your mouse movement problems probably has to do with the acceleration curve. I'll be uploading an updated PUBG profile today(When I get home) with optimized acceleration curves. New profile includes proper acceleration curves. for some reason i cant use the mouse on pubg help ? having problems getting the mouse to shoot i don't know whats wrong with it, i'm using the profile and it shows on the settings that the mouse has left click to shoot right click to aim down the sights but it doesn't work for some reason.. the mouse movements work so i don't understand what the problem is? anyone got any ideas or having the same problem? I don't understand either, though I'll look into it. yo dude the mouse aint working. I sorry, I can't look into it right now as I am currently replacing my KeyMander. Try checking the Keybindings to see if the mouse is bound different than it is usually. Just got the KeyMander and loaded up your profile and with a little tweaking to the in-game deadzone it controls pretty good, thanks for making this available! How do i put the file in the software. I am unable to open it or extract it. You can import a profile by right clicking on an unused profile in the KeyMander software and then clicking "import". Great profile. I made some mods like cycle weapons my mouse button. One question. I bought the keyboard and mouse w/ Keymander as a package from IOgear. 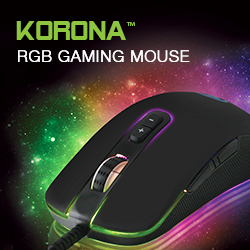 Is it possible to bind the 2 buttons on the left side of the mouse? I set it to mouse and I want to set X to open doors and reload to one of them. The buttons on the side of your mouse must be bound in IOgears software. 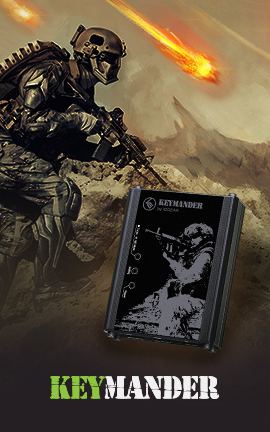 To use those buttons while using the KeyMander, you must have the KeyMander directly connected to your PC and have the mouse connected to your PC as well.